Many people have that one neighbor who puts up a new fence six inches to a foot over the known property line. They smile and assure you they know that the fence isn’t the real property line, but no harm, no foul, right? Well, maybe not. Under Massachusetts law, that neighbor may be able to claim your slice of property as their own in the future. The legal term for this kind of lawsuit is adverse possession. Most property owners are not aware of adverse possession laws. Many people might think that these are new laws passed by liberals to protect the rights of squatters, but that is not the case. Massachusetts case law exists dating back to 1853, dealing with adverse possession (Cook v. Babcock). This case involved a man that decided to cut down some trees that happened to be on his neighbor’s property. At trial, the jury awarded damages to the neighbor when the man could not support his defense of adverse possession. They are the only possessor and have physically entered the property. Possession is open and notorious. This means that it is generally well-known in the community that they live there. Building houses, cabins, or outbuildings and paying taxes on them also establishes a claim on the land. They must possess the land without the owner’s consent. If they have permission to be on the land from the owner, then they cannot claim the property under adverse possession. They must possess the property in question continuously for the 20-year period. Occasionally living on the property does not meet the requirement. Property owners should also know that subsequent possessors can add years together and make a claim on the property. For example, if one person lived there for 10 years, then a second person lived there for another 10, they can add them together to show 20 years of possession. So why do these laws exist? It seems unfair to property owners that someone can simply move onto their property and claim it as their own. Law scholars argue that adverse possession protects the rights of both the trespasser and the property owner. If someone occupies a property for a long time, builds a home and outbuildings, and plants crops, they have invested a lot of time and money into the property. Loss of the property would be a serious blow to these people. Adverse possession laws provide a way for these people to claim the property as their own. At the same time, the property owner who is completely unaware of their presence would stand to gain a large amount of money if the possessors were removed. The long period required to file a claim (20 years) protects the property owner’s interests. As you can imagine, it is very difficult for someone to live on somebody else’s property for 20 years without the owner taking notice. This gives the property owner plenty of time to eject unwanted possessors. Owners who fail to do so clearly care very little about what their property is being used for. Adverse possession law in Massachusetts shows a policy of encouraging property owners to actively protect their land. But what should landowners do to prevent adverse possession claims? Be sure where your property boundaries are. Hire a surveyor to confirm actual property lines. Surveyors will mark property lines with stakes. Remember it is illegal to remove survey stakes in the state of Massachusetts. Don’t rely on plot plans. Physically mark property lines with fences. A physical barrier prevents unwanted people from ever accessing your property. Post no trespassing signs. Post signs outward to notify people approaching your property to stay out. Give written permission to encroaching neighbors. Remember, possessors can’t claim your property if they have permission to be there. Documentation is key. Make sure your title is clear. Review purchase paperwork to determine if any other parties have a claim on the property. File a lawsuit if necessary. Register your property with the Massachusetts Land Court. All properties registered with the Land Court are exempt from adverse possession claims. Adverse Possession laws in Massachusetts were created to protect the rights of property owners and squatters alike. The key to preventing an adverse possession claim is to actively defend your property. Adverse possession cases can be very complex and expensive to litigate. If you find yourself in an adverse possession case, please get in contact with Doubleday Law today. If you have concerns with the Adverse Possession law or are in a similar situation, please contact us. 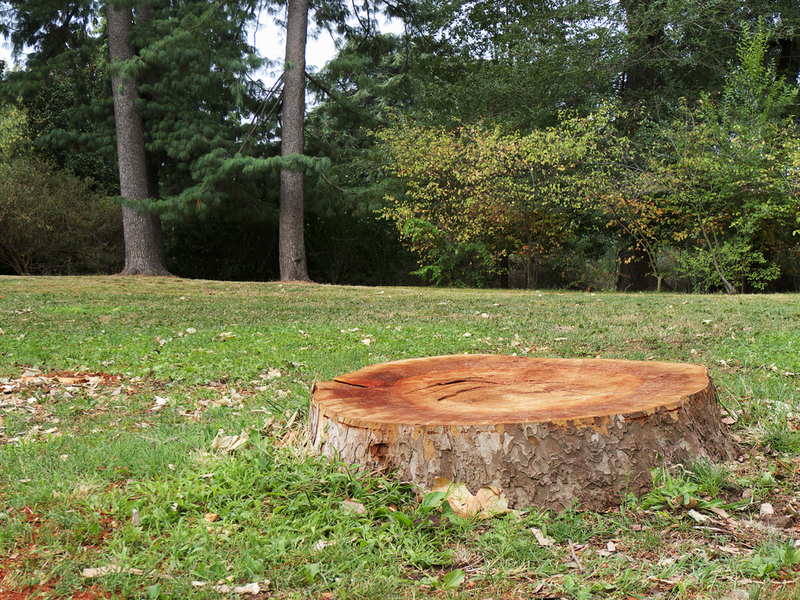 When removing trees in Massachusetts, make sure you have the landowner’s permission.